Click on the logo on the left side of each description to visit the site. Learn new vocabulary and contribute to the UN World Food Program with a few clicks. This site provides a vocabulary quiz (great for high school PSSA preparation). For every correct answer, 20 grains of rice are donated. Watch cutting-edge documentaries from PBS online. Videos are split into 10-minute segments that make them ideal for use in the classroom. 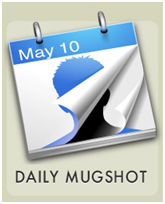 Daily Mugshot is a free service which helps you chronicle daily images of yourself and share them as an animated sequence. Getting started is really easy, all you need is a webcam or digital camera. Great for growing kids or documenting weight loss. Chow is a unique website for 'foodies' that combines great food with and edge. Some of the featured articles include things like "Common Appliances, Uncommon Uses" and "Peas Pick Your Knives and Go!" Put a contract out on yourself!! Ready to finally stickK to your commitments? Then stand up, and put your reputation, or even your money, where your mouth is, and change your life. Reap the rewards of your hard workStickK allows you to challenge yourself to reach a goal. This site provides a comprehensive links to online museum resources around the world. Look at the permanent collection, the exhibits and shows for a unique cultural experience! Start your family tree online - invite your relatives to fill-in the blanks and create an interactive family tree. You can preserve your family history and make family connections, too. Answer some simple questions and determine how much of an impact you have on the planet. Compare your footprint to those of other citizens around the world and learn how to reduce your ecological footprint. Cooltext will help you generate logos and graphics for free in a few quick steps. eMINTS provides links to resources for education-related professional development. These items are designed by teachers for teachers.